The AIARE 2 is a three-day/24-hour hands on course that provides backcountry travelers an opportunity to advance their decision making skills in more complicated situations such as being a leader within a small travel group, traveling in more challenging terrain, and developing advanced travel plans. The AIARE 2 builds on the introductory avalanche hazard management model introduced in the AIARE 1 and adds to it the evaluation of critical hazard assessment factors. The AIARE 2 is a three-day/24-hour hands on course that provides backcountry travelers an opportunity to advance their decision making skills in more complicated situations such as being a leader within a small travel group, traveling in more challenging terrain, and developing more advanced travel plans. We spend 80% of this course in the field focusing on terrain manangement, group management, decision making, and advanced tour planning. Participants must have the ability to travel in avalanche terrain on backcountry skis or splitboard-no snowshoes are allowed on this course. 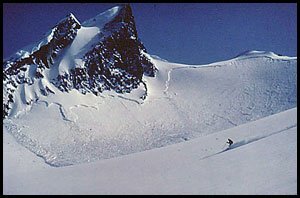 An AIARE 1 Course (strongly recommended) or equivalent Level 1 training is required as well as the AIARE Avalanche Rescue course. A winter of practical experience after the Level 1 course is required before taking the AIARE 2 course.